Any substances that consists of closely packed particles (atoms, molecules or ions) is called solids. 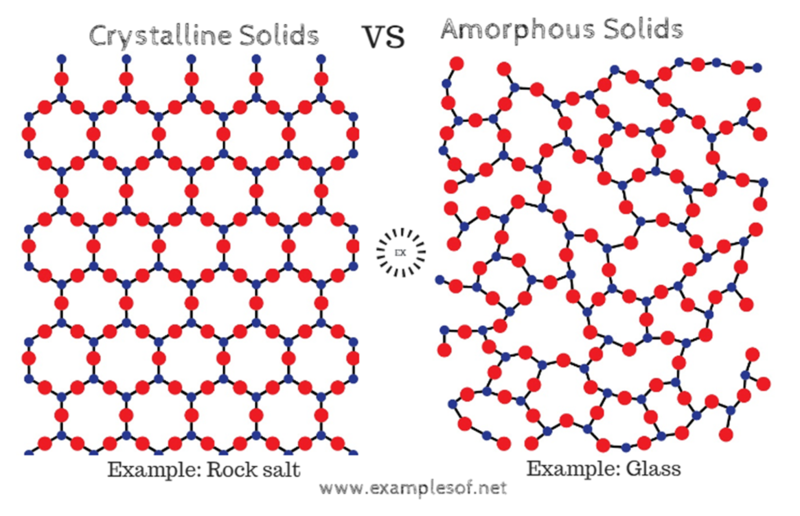 The solids having characteristic geometrical forms are known as the crystalline solids. These solids posses a regular and repeated arrangement of particles.